FINE GAEL TD Fergus O’Dowd faces a challenge to hold onto his Dáil seat from his own brother who will be running for Renua in the next general election. Michael O’Dowd has been selected as Renua’s candidate in five-seat Louth, setting up a tantalising election battle with his brother who is a former junior minister. A former mayor of Drogheda, Michael O’Dowd quit Fine Gael to join Renua earlier this year. The accountant, who works with Enterprise Ireland, had previously failed to hold onto his county council seat in Louth in last year’s local elections. This followed Fine Gael’s controversial decision to run five candidates, including Fergus’s son, Garrett, in the 10-seat Drogheda area. However, the party only took three seats with Garrett also failing to win one. In a statement today, Michael, a married father-of-three, said that Louth needed people “who will stand up within the Dáil and the cabinet table for our county”. Renua said in a statement that he would prioritise developing services for people with intellectual disabilities and is leading the team devising the party’s disability policy. 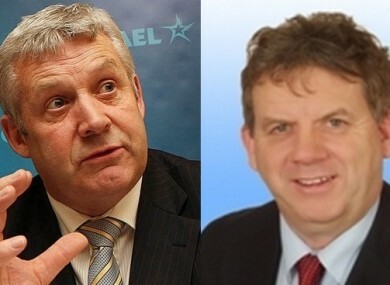 Fergus O’Dowd is one of two incumbent Fine Gael TDs battling it out to retain his seat in the five-seat constituency that also includes Sinn Féin president Gerry Adams. Fine Gael is also running Peter Fitzpatrick who recently changed his mind about not defending his Dáil seat. The former Louth GAA boss previously said he would not contest the election, but he was then convinced by the party hierarchy to stand. Fine Gael may add a third candidate to the ticket with a decision expected as early as this week. The O’Dowds are also brothers with Niall O’Dowd, the publisher of the Irish Voice newspaper and founder of IrishCentral.com, who briefly flirted with the idea of a presidential bid in 2011. Michael O’Dowd has previously expressed admiration for Renua leader Lucinda Creighton and her decision to quit Fine Gael and her junior ministry over the Protection of Life during Pregnancy Bill in 2013. Read: Did Fine Gael shaft women in Louth last night? Email “A Fine Gael TD is being challenged by his own brother ”. Feedback on “A Fine Gael TD is being challenged by his own brother ”.